A delicious and timeless dessert. Now that Valentine’s Day is over, it’s time to look ahead to the spring (though, for my fellow Chicagoans, that prospect seems bleak with all of this snow…). Whether you’re looking for a classic and super easy dessert or are looking for an escape from winter’s heavy, indulgent flavors, these lemon bars will please everyone. 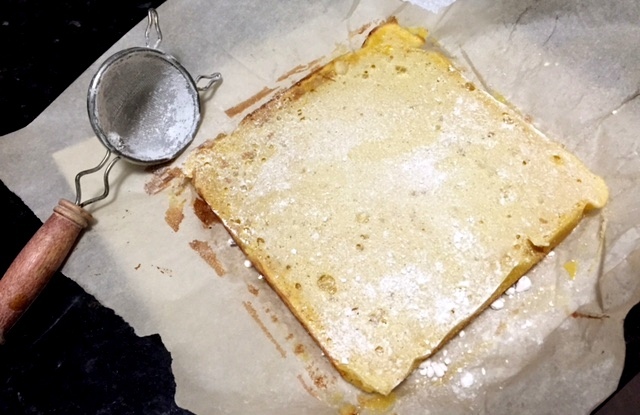 The lemon bars start with a simple, buttery crust that bakes in the oven while you make the lemon filling. Pour the lemon filling on top of the baked crust, bake again and you’re finished. It’s that easy. The crust is rich and perfectly sweet, while the lemon filling is tart and refreshing. It’s the perfect treat for any time of the day. Place a rack in the upper third of the oven and preheat the oven to 350°F. 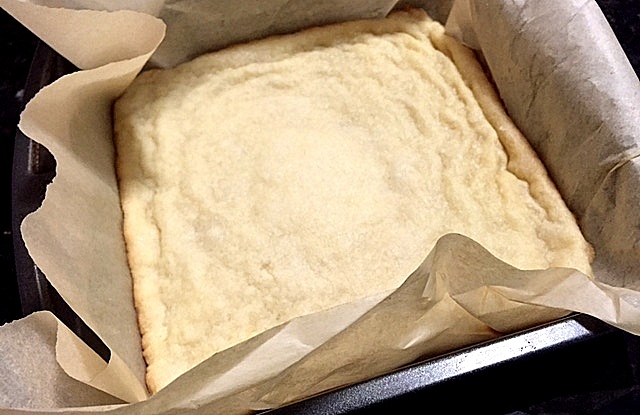 Grease a 8×8-inch baking pan, line with parchment paper (so that it hangs over the pan) and grease the parchment paper. Set aside. 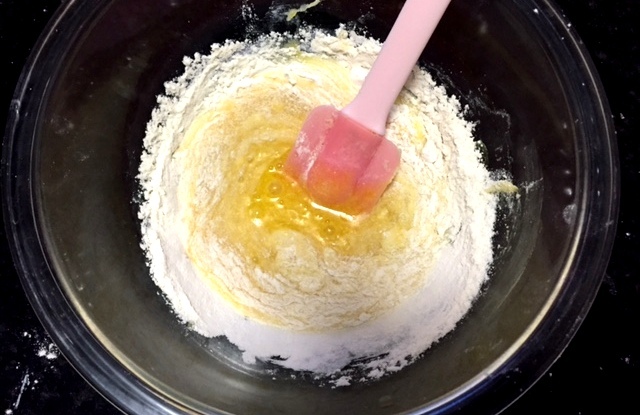 Using a stand mixer fitted with a paddle attachment, start making the crust by creaming together the butter and sugar until light and fluffy, about 3 to 5 minutes. 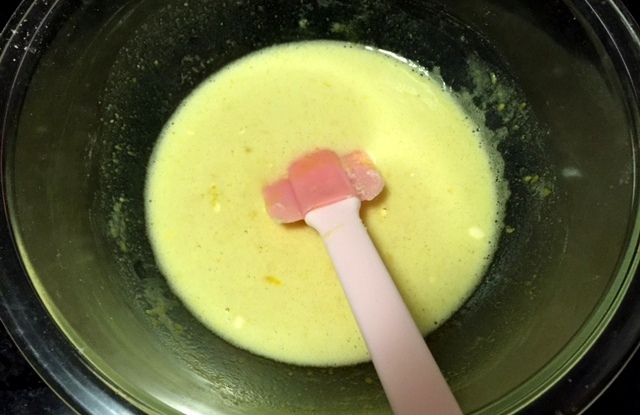 Stop the mixer and scrape down the sides of the bowl. Add flour and salt. Beat on low speed until dough is incorporated. Dough may come together, but if it remains shaggy then that’s fine too. 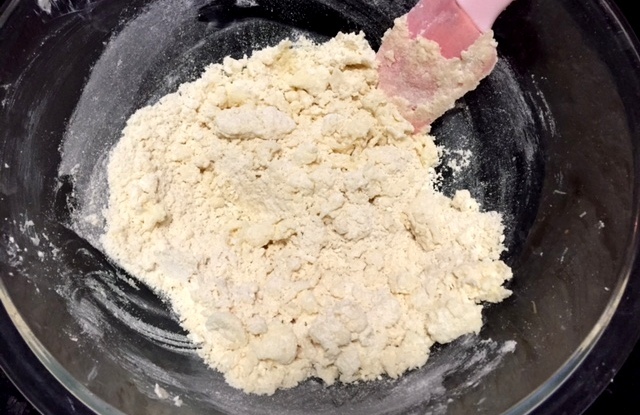 Dump the crust into the prepared pan, and use your fingertips to press the dough into the bottom of the pan. Bake for 15 to 18 minutes or until just browned around the edges. To save time, you can make the filling while the crust is baking. 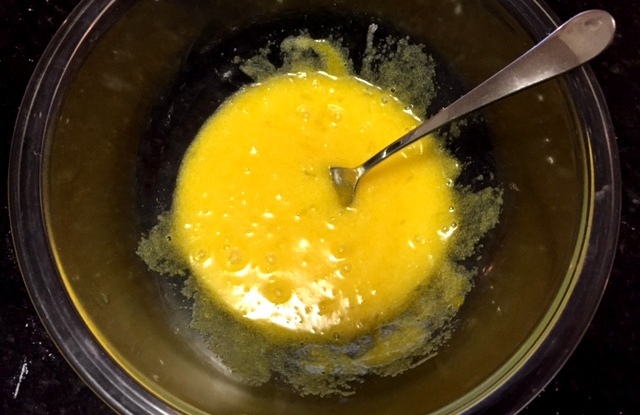 In a medium bowl, whisk together eggs and sugar until well combined and slightly thick. 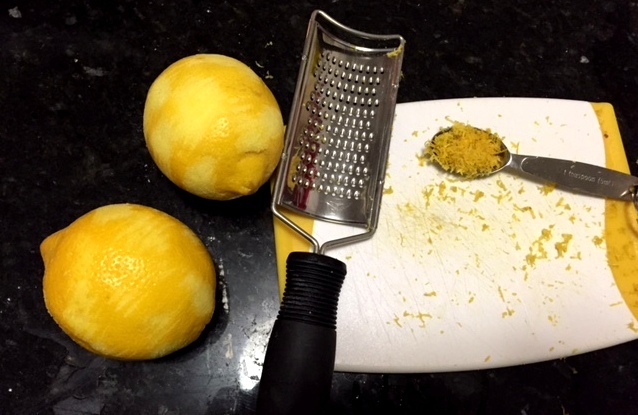 Add the flour, lemon juice and zest and whisk until blended. Pour the filling over the warm baked crust. Return to the oven and bake for 18 to 20 minutes or until lightly browned on top and no longer jiggling in the center. Dust with confectioner’s sugar, if desired. Allow to cool completely in the pan. 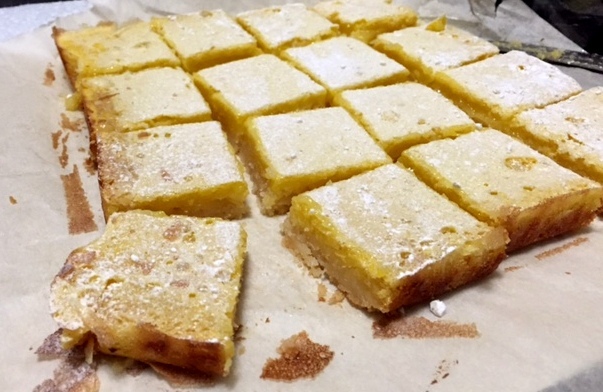 Run a knife around the edges of the pan and slice the lemon bars into nine squares. You can use the overhanging parchment paper to lift the squares out to make things easier. 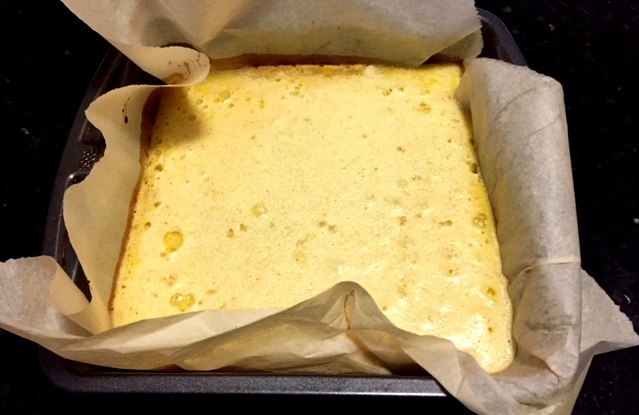 To store the lemon bars, place them in an airtight container separated by wax paper layers. Enjoy!